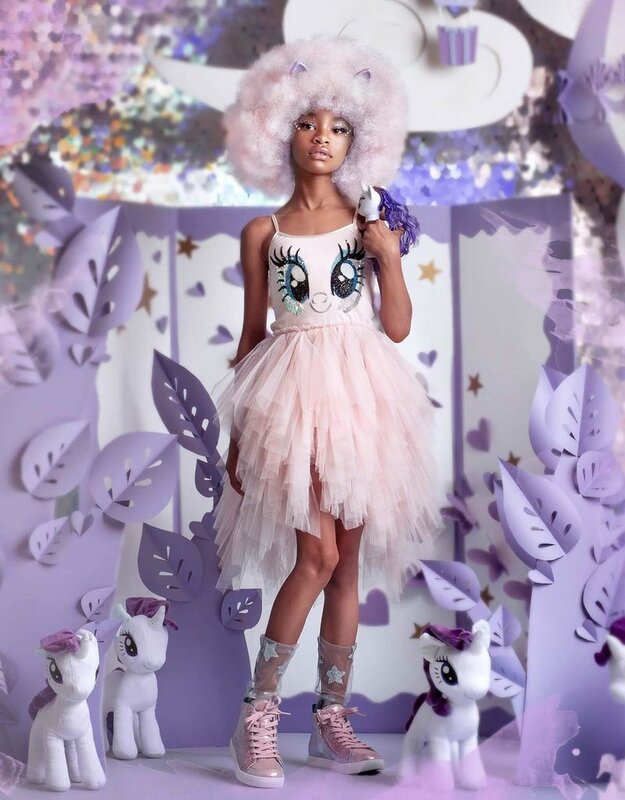 Twirl your way through Everfree Forest with the Flutter Your Lashes Tutu Dress. 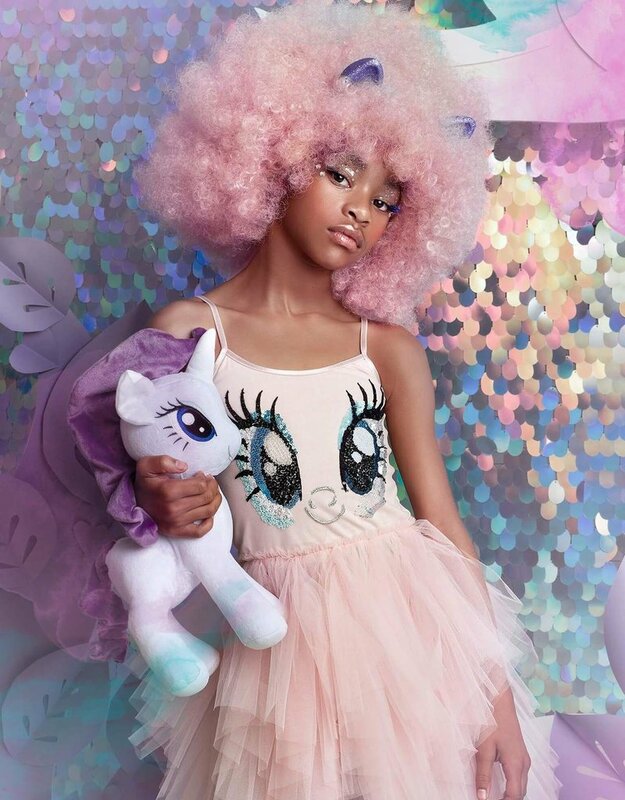 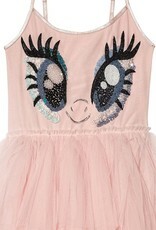 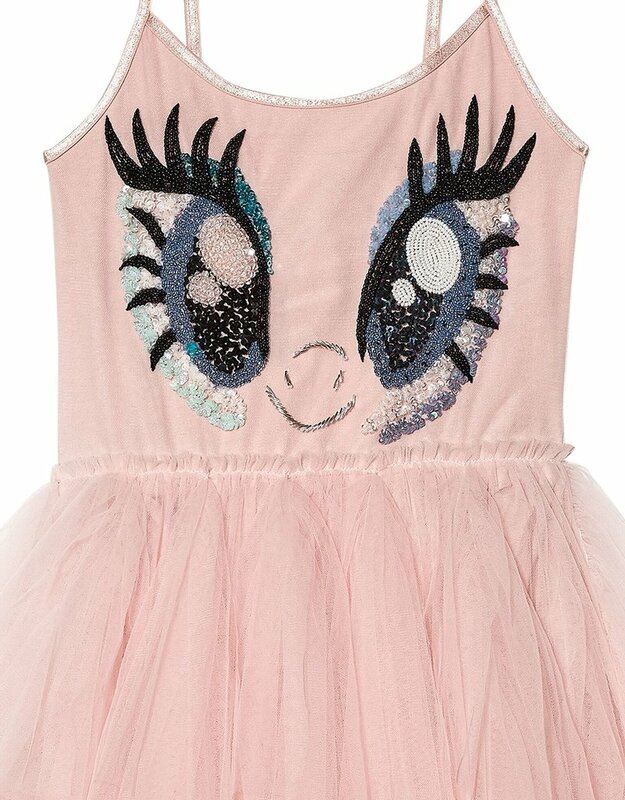 This striking dress features an ornately hand beaded and embroidered bodice with Fluttershy's dreamy eyes and lashes. 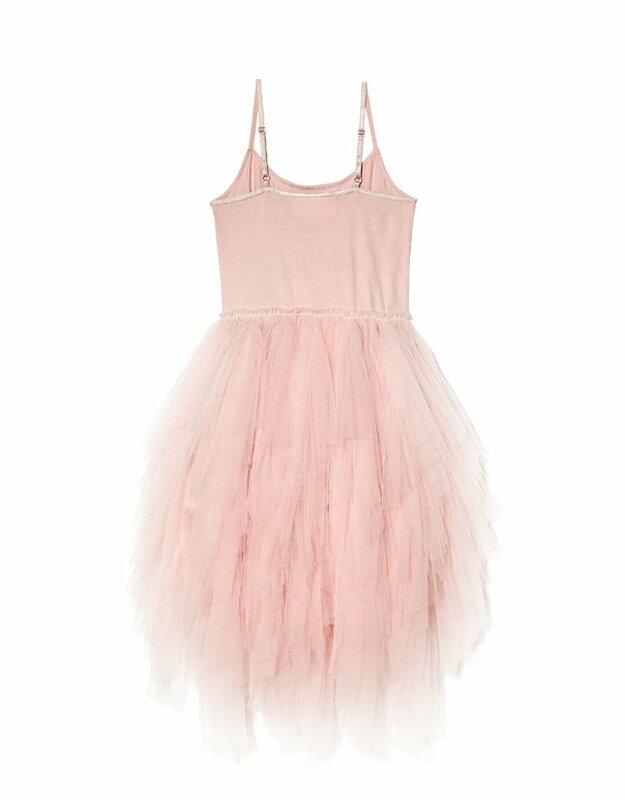 A hi-low cascading skirt in pretty porcelain pink, with vertical gathered tulle layers and a handkerchief hemline create a high volume silhouette. 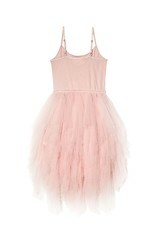 The dress also features adjustable straps and an elasticated waist to ensure comfort while worn.